There is finally some good news to feel cheerful about. While five years ago, one out of every two cars sold in India was a diesel one, it has now halved to just one in four cars. This trend is starkly clear across all segments—sedans, compact cars as well as SUVs. This is one of the finest pieces of evidence of how public health concerns shape markets that the industry can never ignore. Available market information suggests that nationally, the share of diesel in the sales of sedans and small cars has fallen to 23 per cent, from close to half in 2012-13. Delhi has also reported as much as a 16 per cent drop in diesel fuel sales due to a decline in car numbers. While initially, the diesel SUV market remained bullish, petrol SUVs have gained ground quickly. According to media reports, the share of petrol SUVs—a rarity a couple of years ago—has increased five-fold, from 3 per cent in 2012-13 to 16 per cent at the end of 2017-18. The year 2017-18 shows a decisive bending of the curve and a brake on dieselisation. All big diesel car makers have started to roll out more petrol versions. India is finally seeing the results of one of the longest and toughest battles against dieselisation. The pressure is still on. In its most recent directive of March 26, 2018, the Supreme Court directed the Additional Solicitor General to state “on affidavit, the issue of pricing of diesel fuel so that the low price, particularly for passenger vehicles, does not act as an incentive to purchase diesel vehicles as against petrol vehicles. This examination is required in view of the fact that diesel vehicles are far more polluting than petrol vehicles.” It is important to recall that the same Court has been hearing the diesel matter since 1999, responding to evidence on harmful effects of toxic diesel exhaust on citizens’ health stating that “the very right to life of citizens is at stake.” These concerns have catalysed the CNG transition as well as advancement of improved emissions standards in Delhi that led to nation-wide action. As diesel cars lose ground rapidly, the Indian automobile industry is waking up to the reality that future of diesel vehicles is uncertain in a polluted and climate-constrained world. It is clear from the recent White Paper of the Society of Indian Automobile Manufacturers (SIAM) that it is aiming for a complete shift towards electric vehicles by 2047 and 40 per cent by 2030. It even recommends that 60 per cent of all new vehicle sales should be of hybrids and alternate fuels by the year 2030. If this industry roadmap is taken seriously, it is in the interest of the automobile industry to move quickly away from the dieselisation of the car segment and develop capacity to promote clean and alternative technologies. Intense public pressure and judicial interventions have led to decisive policies in Delhi and the National Capital Region (NCR). The drop in diesel car sales in India has been triggered by the Supreme Court imposing an environment pollution charge on all big diesel cars and SUVs (with engines of 2000 cc and above) in Delhi and the NCR; the National Green Tribunal ordering on 10-year-old diesel cars in Delhi; reduced gap between prices of petrol and diesel fuels; higher prices of diesel cars; higher road tax on diesel cars in Delhi; poor prospects of after-market sales and growing public awareness about the toxic effect of diesel emissions. The comparatively shorter life of diesel cars and environmental regulations are hanging over them like the proverbial Sword of Damocles. Market watchers should note that this development in India is not an isolated trend; diesel cars are facing extinction across the world. That diesel cars will soon be fossilised dinosaurs is clear from the global market and regulatory trends. Diesel vehicles were long promoted as being cleaner than petrol ones but recent research suggests that they could be worse for causing higher local pollution as well as carbon emissions. Yet, tax breaks have favoured diesel over petrol in Europe. Now, even Europe, that was most obsessed with diesel cars, has reported a slowdown in sales during 2017. According to the European Automobile Manufacturers Association (ACEA), sales of petrol-powered cars overtook diesel in the first quarter of 2017 for the first time since 2009. Sales of “alternative” vehicles—hybrid, electric and those powered by Liquefied Petroleum Gas and Natural Gas—also rose by more than 35 per cent. This trend is sharper in individual countries as is evident from the global reports and regular information updates available from market bulletins and newsletters tracking policy change like the Car Lines published by Michael Walsh from Washington. Amazing changes are underway in Europe. Madrid and Athens are banning diesel cars entirely. Sales of diesel cars have crashed in the UK. According to the Society of Motor Manufacturers and Traders, sales are down 11.5 per cent since 2016 as pollution fears grow. Meanwhile, during 2017, the demand for petrol hybrid and electric battery-powered vehicles jumped in August, 2017, up 74.9 per cent and 62.5 per cent respectively. Sales of conventional petrol cars grew. Sales of plug-in hybrids are up 38.5 per cent. The demand for alternatively-fueled motors was up 58.3 per cent though from a small base. They now account for more than one in 20 of new cars sold in Britain. In fact, the UK government has announced that it would ban all new petrol and diesel cars and vans from 2040. The mayors of Paris and Athens have planned to ban diesel-engine cars in city centres by 2025. France plans to reverse favourable tax treatments for diesel. By 2019, Copenhagen’s mayor has announced plans to ban new diesel cars from entering the Danish capital. Diesel cars have lost market share even in Germany—the diesel car manufacturing bastion. The share of new diesel cars in Germany fell in September, 2017, from a year earlier amid concern about emissions. New diesel cars sold accounted for 36 per cent of new registrations, down from 45 per cent in September 2016 according to Germany's federal motor transport authority. Petrol vehicles rose to 60 per cent of total new car sales. Diesel cars have been losing market share in Germany in the wake of the emissions cheating scandal at Volkswagen AG. Since then, public concern has grown. This trend will only get stronger when countries crack down on fossil fuel-powered vehicles. The French government has pledged to end the sales of petrol and diesel cars by 2040 as part of a plan to become carbon neutral by mid-century. This push will get harder as countries take their climate commitments seriously. The German state of Baden-Württemberg has announced an air-pollution control plan for the city of Stuttgart that includes conditional driving bans on older models of diesel vehicles within city limits that do not comply with the Euro-VI emissions standards on bad air days. German environmentalists are demanding a sweeping ban on all diesel engines within Stuttgart's city limits by 2018. In February 2018, the highest Administrative Court in Leipzig published its decision that states that cities have the right to include diesel bans into their air quality plans under restriction of commensurability and the protection of health needs a more careful attention than in the past. Since Volkswagen AG admitted to rigging 11 million vehicles worldwide to circumvent regulatory tests and many other models were found to be emitting several times higher than the certification levels, more cities have been mulling bans on diesel vehicles and European consumers are gradually turning away from the technology. This has led to serious backlash. As several auto makers in Europe have increased investment in electric cars and regulators have pushed for tougher rules, diesel auto makers are also looking at strategies to rescue the technology. German auto makers have announced plans to update the software in 5 million cars to reduce emissions of nitrogen oxides. Automakers have even promised to finance measures to reduce urban pollution, for example by modernising bus fleets or building bike paths. Industry is however opposing plans by some cities to ban diesel from downtown areas. Even political parties have faced criticism for blocking stricter European Union (EU) regulation of diesel emissions while providing tax breaks on diesel fuel. There is hard evidence on what diesel emissions can do to our health. After the World Health Organization classified diesel emission as a “Class I” carcinogen for its link with lung cancer, several studies have emerged on the impact of exposure to diesel emissions on health. More than half of EU countries report levels of nitrogen dioxide, one of the major emissions from diesel vehicles, higher than the EU's legal limits for air pollution, transport and noise set by the European Environment Agency. The International Council on Clean Transportation (ICCT) estimates that a growing gap between official data and real-world results meant that “excess” nitrogen oxides emissions contributed to about 38,000 deaths in Europe. Additionally, the ICCT links diesel emissions to 107,600 deaths globally in 2015. It is also estimated that in Europe, the ozone mortality burden each year can be 10 per cent lower if diesel vehicle NOx emissions are in line with certification limits. These concerns have accelerated action in Europe. Even though European governments routinely test new diesel vehicles to check whether they meet pollution limits, the laboratory tests fail to mimic real-life driving situations, and underestimate actual pollution levels. But on the road, as many tests have shown, diesel cars emit four to 12 times more nitrogen oxide than in lab-based tests. Therefore, Europe has tightened the emission test requirements for diesel vehicles. They are now required to take a more rigorous laboratory test known as World Harmonized Light Vehicle Test Procedure or WLTP. Real-driving emissions (RDE) testing—monitoring emissions while vehicles are being driven on the road, is also mandatory for diesel vehicles now. The European Commission is set to have greater powers to control national type-approval authorities under the new Regulation and is proposing take legal actions against eight countries over their poor response to defeat devices. It has been one of the most progressive decisions in India to leapfrog directly from Bharat Stage IV (BS-IV) emissions standards to BS-VI in 2020. This will narrow down the gap between diesel and petrol emissions substantially and particularly help to clean up diesel heavy duty vehicles substantially. Under this regime, real world emissions from BS-VI vehicles will be tested. 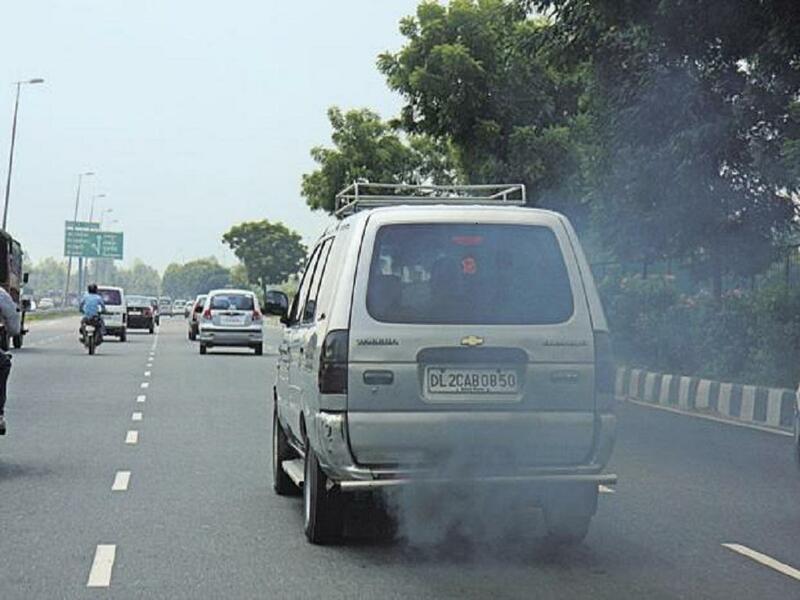 Particles from diesel vehicles will be measured not only in mass but also in numbers. While regulations are getting tougher, India will have to ensure proper compliance and enforcement to make the new emissions control systems work optimally throughout the useful life of the vehicle. But this will also make emissions control for particulate and NOx emissions in diesel vehicles more complex and expensive. This will pass on considerable responsibility and costs on the user of vehicles to ensure these systems are working optimally all through the useful life of the vehicles. Manufacturers’ responsibility will also have to be established clearly. More steps will have to be taken to discourage diesel cars in India by equalising the fuel tax that both petrol and diesel car owners should pay for fuel. This can be done either by equalising the price of petrol and diesel or by slapping higher taxes on diesel cars. The IIT-Kanpur study of 2015 has shown that diesel cars are 25 per cent of the total car fleet and contribute 78 per cent of PM2.5 from vehicles. This according to ICCT translates into four times greater cancer risk in Delhi from diesel cars, compared to petrol cars and more than 280,000 avoidable cancers in Delhi-NCR caused by long term exposure to diesel exhaust. Indian cities cannot afford to dieselise the car segment when cleaner alternatives are available and all cities are facing serious toxic risk. India certainly cannot afford to increase toxic risk from cars that are used predominantly for personal convenience and are part of luxury consumption. While controlling diesel cars’ numbers and usage, a massive cleaning-up of diesel-powered public transport and commercial vehicles is also required. It is important for everyone to understand that crack down on diesel cars in India is not an anomaly; the entire world is taming and culling the engines of the Devil.